One of the most visible signs of aging hair is grey hair, but long before it appears, there is a degenerative process making hair stalks thinner and causing hair loss, among other consequences. Recent studies show that at the age of 35 hair starts aging, but in some cases this process may appear much earlier due to the daily life or the overuse of aggressive hair treatments & products. 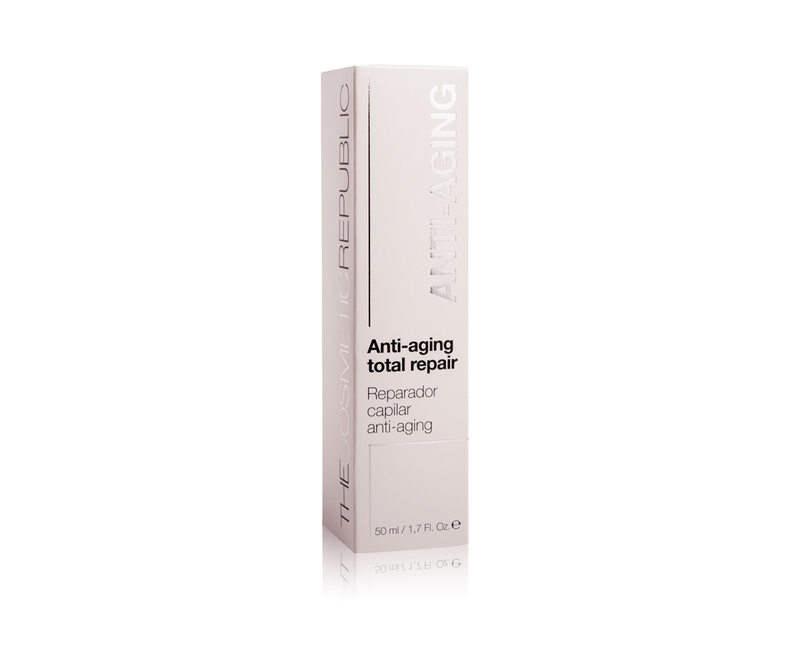 This Anti-Aging Total Repair is a natural blend of extracts that restores and revitalises damaged and aged hair over the years, due to stress, atmospheric elements or the excessive use of aggressive products, dryers and irons. 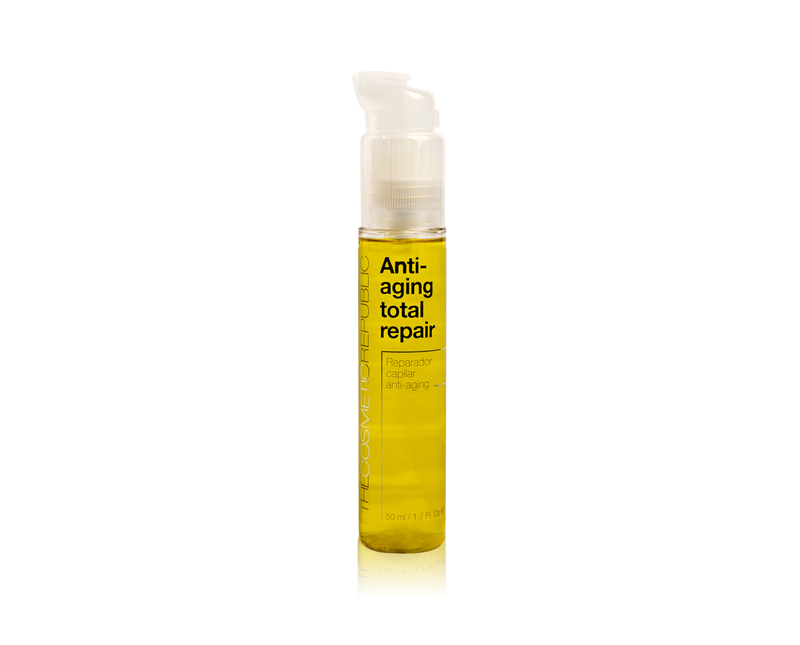 Thanks to its high concentration in avocado, jojoba, rosehip, argan and carrot among others, this amazing blend repairs and revitalizes damaged hair, leaving it instantly repaired and stronger without leaving it oily. Infused with natural extracts promoting hair growth, it is also an excellent hair sunscreen. Indicated for all hair types. Daily Use. Cold press processed. Color safe. Paraben & sulphate free. For men and women. Can be used in multiple ways. Before washing: nourishes and instantly regenerates dry damaged scalp & hair. During washing: mixed with shampoo or mask for more hair flexibility and moisture. After washing (without rinsing): on wet hair, detangles and optimizes brushing. On dry hair, as a finishing touch, to prevent frizz and provide gloss and body. NOTE: Apply through the mid-lenghts and ends. Blow-dry and style as usual or allow hair to dry naturally. If used together with the Hair thickener, use The Anti-aging serum first and after a couple of minutes apply the Hair thickener.